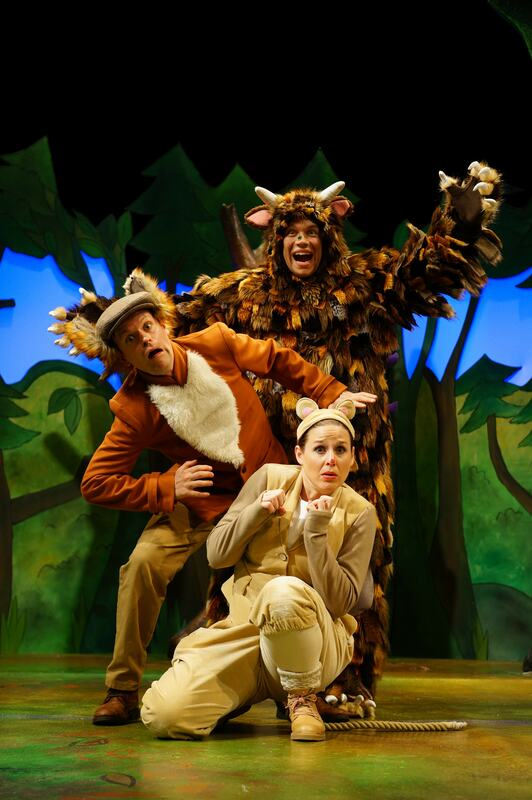 Take a stroll through the deep dark wood with Mouse in Tall Stories’ magical, musical adaptation of the classic picture book by Julia Donaldson and Axel Scheffler. 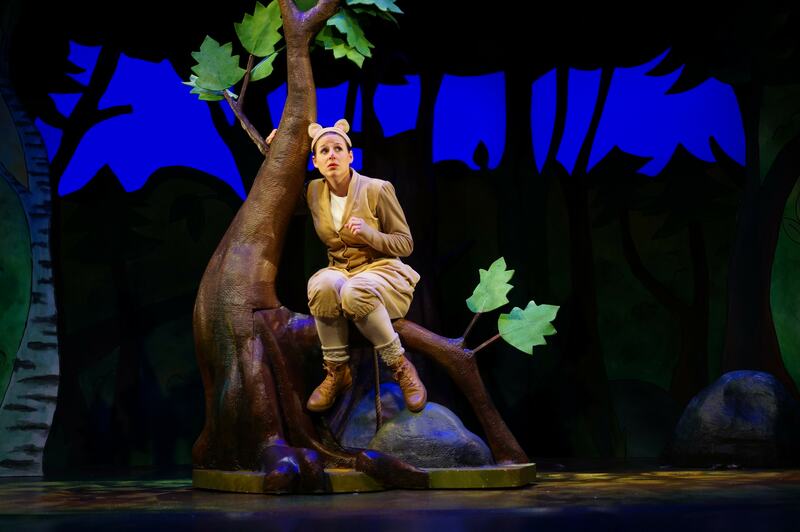 With a gorgeous wood set, complete with butterflies and acorns designed by Isla Shaw, the mixture of storytelling, physical theatre and songs and dancing creates a beautiful show for all the family. The brave Mouse is played by Lauren Scott-Berry, with a sweet singing voice and well-received interaction with the audience. Aaron Millard takes on the role of the storyteller and the said monster The Gruffalo. While stomping around, coming and sitting in the stalls with the audience, and trying not to scare too many people, you find out that the Gruffalo just wants to have some friends. With original songs written by Jon Fiber and Andy Shaw, the show is an excellent treat for all ages, with some pantomime-eek moments with audience interaction and ending with falling snow, it’s a Christmas treat! The Gruffalo is running at the Lowry Quays Theatre until 7th January 2018.